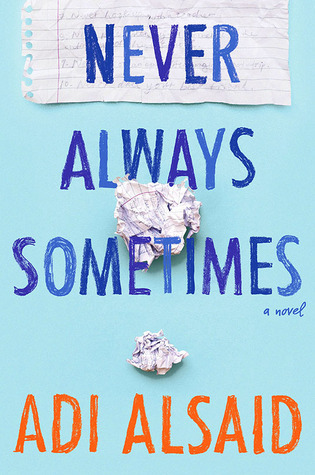 In the tradition of Alice Hoffman’s Practical Magic, one girl chooses to change her fortune and her fate by falling in love. Love is real in the town of Grimbaud, and Fallon Dupree has dreamed of attending high school there for years. After all, generations of Duprees have successfully followed the (100% accurate!) love fortunes from Zita’s famous Love Charms Shop to happily marry their high school sweethearts. It’s a tradition. So she is both stunned and devastated when her fortune states that she will NEVER find love. Fortunately, Fallon isn’t the only student with a terrible love fortune, and a rebellion is brewing. Fallon is determined to take control of her own fate—even if it means working with a notorious heartbreaker like Sebastian. Will Fallon and Sebastian be able to overthrow Zita’s tyranny and fall in love? If you gave her a wish bone, Kimberly would wish fervently for snow in Florida. Her love for 90s cartoons (or any cartoons, really) knows no bounds. She might be the only person you know who can be completely engrossed in watching silent films. Being in Florida certainly has one big perk: going to Disney World. Which she does. Frequently. Kimberly holds an MFA in fiction from the University of South Florida. Her fiction has appeared in literary journals such as Luna Station Quarterly, The Medulla Review, and Hogglepot. Her chapbook, POCKET FOREST, was published by Deathless Press in August 2013. 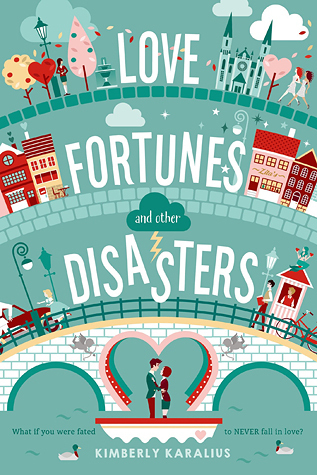 LOVE FORTUNES AND OTHER DISASTERS (Swoon Reads/Macmillan May 2015) is her debut novel. Don't leave with your thoughts unshared! Donate/Support this blog for future giveaways! Arranged from the date read.